This class is for adult learners. The class is taught every Monday, Thursday and Friday. The schedule can be found on the term time calendar which also shows information on pricing. The classes are run for a term, usually 12 weeks in length. 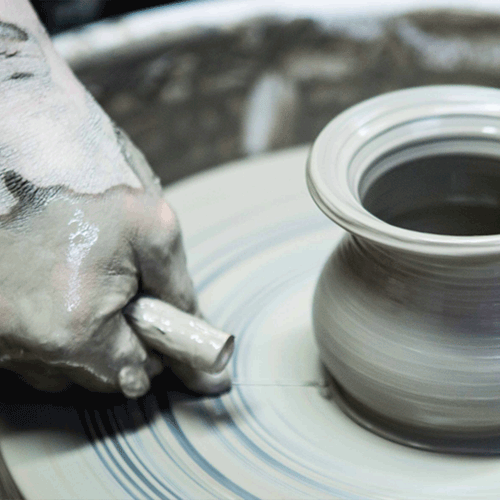 The term time course is suitable for anyone who wishes to develop their love of ceramics, whether you are an absolute beginner or have previous experience with clay.We will help you master the craft of pottery. You can bring ideas of your own, or respond to the range of construction and decorating techniques. 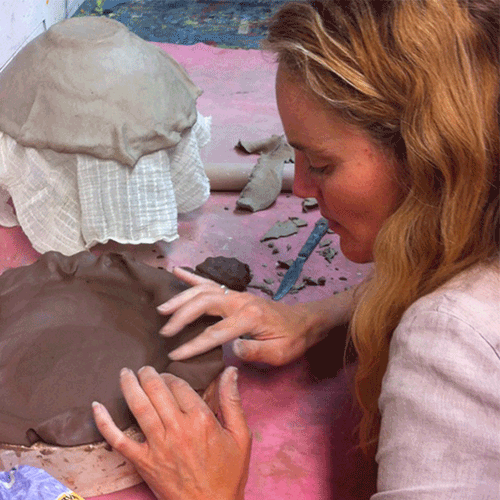 All our art and design courses develop creative skills and a personal approach to artwork. They are based on an understanding of media, materials and the work of other artists. This non-qualification course is open to both beginners and more experienced students. The course guides you through the techniques of pinching, coiling and slab building with different clays. Colour and decoration will be added later using slips, glazes and oxides. The classes are taught by Emilia Radlinska, Laura Crombie, Clover Lee, Akiko, Davide Genovese.